Space Exploration Technologies (SpaceX) has raised $1bn (£659m) in funding from Google and Fidelity Investments.The firms together own just under 10% of SpaceX, the spacecraft manufacturer backed by billionaire Elon Musk. The deal values the firm at $10bn. It said the money would go towards innovation in space transport and satellite manufacturing. The deal is seen as a move by tech giant Google to try to spread internet access to remote parts of the world. Mr Musk, who is also the chief executive of US electric carmaker Telsa Motors, has spoken about using satellites to provide internet access around the globe. 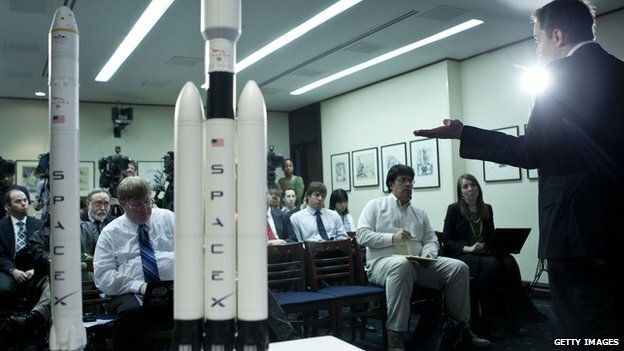 SpaceX was founded by him in 2002 and he has also been vocal about his ultimate goal of colonising Mars. Google, meanwhile, has been increasing its presence in the aerospace sector. In June, it bought satellite company Skybox Imaging for $500m. Google and Fidelity join existing investors Founders Fund, Draper Fisher Jurvetson, Valor Equity Partners and Capricorn, SpaceX said.